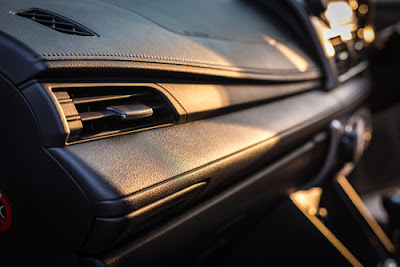 You wouldn't own a car without taking it in for routine maintenance service calls; the same treatment should be given if you own an air conditioner unit. The facts are if you don't regularly have air con services done your group will end up needing costly repairs, just like a car would if you didn't take it in for routine maintenance. You may find the unit will break down right in the heat of the summer, just when you need it the most. An air unit may require routine servicing at least once a year. While these units are built be tough, they need to be properly taken care of. If an air conditioner isn't routinely serviced, it will deteriorate around five percent of its efficiency every year it is ignored. If you would start right now to maintain your air unit yearly, you can make up for the lost energy. Think about this, a well-serviced unit will run more efficiently, and will, therefore, save on utility costs. You will more than make up the cost of the service through the savings on your cooling bill, not to mention possibly avoiding any repair costs. A unit that runs more efficiently will pull the moisture out of the air faster and provides colder air. 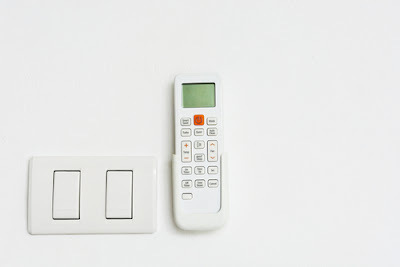 Having the air conditioner receive air con services is as easy as picking up the phone and calling your local heat and air company for a technician. They will come out and inspect and thoroughly clean the unit. They will also make sure the amp draw is correct with the compressor. They will oil the fan motors. An air unit contains belts that need to be examined for wear and replaced or adjusted if necessary. A qualified technician will know to check for pressure and temperature levels according to the manufacturer's specifications. The coolant level is critical for your air conditioner to be able to produce cold air. Without this coolant, known as Freon, the unit would just blow room temperature air. For the best efficiency, this level needs to be kept at 100%. Even if it is just 10% low, the efficiency of the unit will go way down. If it is just 20% low, you won't have cold air. This is one of the major things to check in the yearly service call. Freon is a chlorofluorocarbon or a CFC. Another coolant called Puron is being used to replace Freon in newer units because it is considered safer. To help keep air con services less expensive, you can do a few things through the year to help maintain your air conditioner. Buy and replace air filters often. Examine them once a month to see if they are dirty, when they are, replace them. Make sure to keep the yard area trimmed around the outside unit. Don't hesitate to call for the annual servicing which will likely save your air unit and keep it running well for years to come. These units are tough, but keeping them maintained and service will make them even tougher. Air Conditioner Service and Repair Calls. 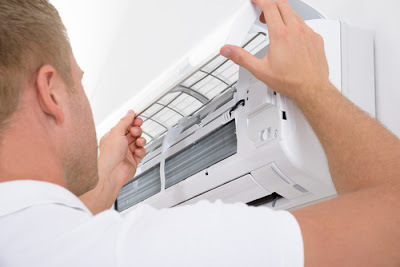 Having your air conditioner serviced by an air con services professional will help the utility bills to be lower because a properly maintained unit will run more efficiently. So many fail to do this one simple thing each year, and while it may be a few years, eventually the unit will break down. Then a costly repair call will have to be made. A qualified technician knows just what your particular brand needs and can help you to help it run well for years and years. Just pick up the phone and call your local heat and air technician. Proper servicing of the air conditioner means a thorough cleaning should be done to the coils, registers and drip pan, and line. The fan runs off a motor that requires proper lubrication. The belts can become slacked and may need adjusting, or they may be worn and need replacing. The compressor needs a close examination also to ensure it is running properly. If the technician finds anything wrong with these areas they can repair/replace parts during the service call before it becomes an emergency repair call. Having a professional to do this ensures they know what to look at and how to service and repair the unit properly. While your air conditioner is receiving the air con services, you may want to observe the technician and ask questions about how you can better help to maintain it. Different types and brands require different maintenance to keep them running well for years. Certain parts of the air unit need to be cleaned, up to four times a year, while other parts only require a yearly cleaning. Ask how you can do the maintenance throughout the year to avoid having to call them. They will be glad to offer advice and suggestions on helping to safely maintain the unit. If you notice that your air conditioner isn't cooling as well as it should before your next scheduled service call, you should call for a technician to have a look. It may be an issue that would be an inexpensive fix. It may be if you waited, it would turn into a costly repair. Something as simple as adjusting the fan motor belt may be the issue. If you waited and allowed the belt to continue to slack, it may end up breaking, and this could cause more costly repairs as a result. Things can start to wear out or break, even between service calls, but having the unit repaired properly helps these calls to be far and few between. When you call for aircon services, let the technician know you if you've noticed the unit isn't cooling as efficiently as it was. They are qualified to know what to look for when examining the unit. Each manufacturer and type are different. Some will require servicing of different parts to help keep it well maintained. You will see the difference in your electric bill if you keep your air conditioner serviced at least once a year. A well-maintained unit will run more efficiently.